As he was returning to base, he reported being intercepted by a “gleaming silver, metallic disc” which flew alongside his aircraft before speeding off. The mystery object was also detected by RAF radars on the ground, which recorded it travelling at speeds far in excess of any known aircraft. Following the meeting, Sandys went on to tell senior civil servants he was convinced by the airman’s story. The UFO sighting is not only one of the most detailed by a serving member of the armed forces but also shows how seriously such reports were taken by the authorities. British governments have historically downplayed the suggestion that such sightings have been investigated. The existence of the sighting has emerged in papers released by the Churchill Archive, at Cambridge University. The centre contains the papers of Sir Winston Churchill, as well as Sandys, who married the former prime minister’s daughter, Diana. In one document – written a few days after the interview with the 23-year-old Hughes – Sandys tells the government’s chief scientist, Lord Cherwell, about the meeting and states that he found the airman’s account and the supporting evidence from radar “convincing”. 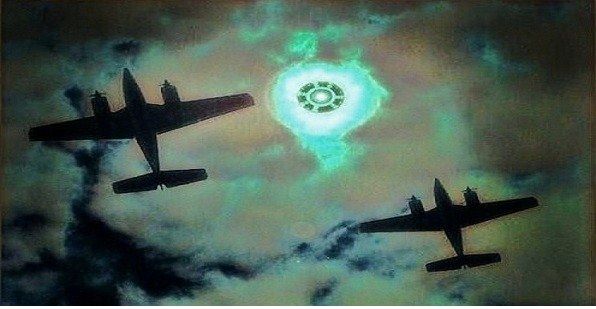 The sighting came shortly after a number of similar “flying saucer” reports from US airmen and Sandys added: “I have no doubt at all that (Hughes) saw a phenomenon similar to that described by numerous observers in the United States.” Lord Cherwell had dismissed the US sightings as “mass psychology”, but in his memo Sandys takes him to task for this attitude and makes clear his position on the existence of UFOs. The minister, who was later promoted to Defence Secretary, went on: “Until some satisfactory scientific explanation can be provided, it would be most unwise to accept without further question the view that ‘flying saucers’ can be dismissed as ‘a mild form of hysteria’.” Sandys also wrote that there was “ample evidence of some unfamiliar and unexplained phenomenon”. The documents are among thousands released by the archive in recent years. Their disclosures were uncovered by David Clarke, a Sheffield Hallam University academic, while he was conducting research for a new edition of a book he has written on UFO sightings for the National Archives. 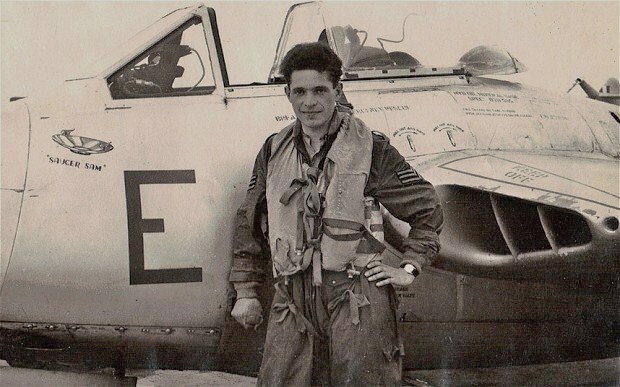 By chance, shortly after his discovery, Dr Clarke was contacted by the fighter pilot’s son, who had read the earlier edition and wanted to share information about his father’s sighting. Roland Hughes had died in 2009, aged 79, but had recounted his version of events to his son, Brian, who passed on the account to Dr Clarke, as well as his father’s log book, in which he had noted the sighting and subsequent meeting with Sandys. The incident will now feature in the latest edition of the book, to be released in September, following the release this summer of more government UFO files from the National Archives. In the airman’s account, relayed via his son, he was in one of four aircraft from No. 20 Squadron, of the RAF’s 2nd Tactical Air Force, returning to RAF Oldenburg, in northern West Germany, flying in formation at high altitude in clear visibility. He reported seeing a sudden flash of “silver light” in they sky high above him which rapidly descended towards him until he could see that it was a “gleaming silver-metallic disc”. The airman said its surface was shiny, “like tin foil”, and “without a single crease or crinkle in it”. He could see, with “astonishing clarity”, the aircraft’s “highly reflective and absolutely seamless metallic-looking surface”. He estimated its size at 100ft across – “about the wingspan of a Lancaster bomber”. It flew alongside him for several seconds before flying off at great speed. None of the other three pilots saw the object – it is thought because they were all executing a “banking turn” at the time and would not have been looking in the right direction – but radar on the ground had picked it up. Six days later, Hughes – who later worked as a commercial airline pilot – was sent to RAF Fassberg, another base in northern West Germany, to give his account to senior RAF officers and Sandys himself, who was visiting. The minister’s first question to Hughes was how many beers he had had the night before. After the sighting, Hughes – who was known as Sam, after a character created by Stanley Holloway, the actor and comedian – was nicknamed “Saucer Sam” by colleagues, who painted a cartoon of a flying saucer on his jet. Brian Hughes, 45, a Ministry of Defence civil servant based at Bovington Camp, in Dorset, said: “We knew about the sighting in the family when we were growing up but my father didn’t talk about it a lot. We learned about it more from prompting him. “He was very matter-of-fact about what he saw, just describing the details. He never did any research into UFO or flying saucers and didn’t have any interest in the supernatural of science fiction. “If it was someone other than my father who had told this story, I would be sceptical. He once said to me ‘People think you’re mad if you say you’ve seen a flying saucer – I’ve only ever seen one once; I’ve never seen one since. '” Dr Clarke, who is sceptic on UFO issues, said: “There is absolutely no doubt that something was seen by Hughes. He is not making this up. But the only honest position to take is that we don’t know what it was. But there could be some sort of scientific explanation, before you start jumping to conclusions about alien visitors.” Thanks to Mac’s UFO News. We were sitting in our backyard by the pool with all the outside lights on. 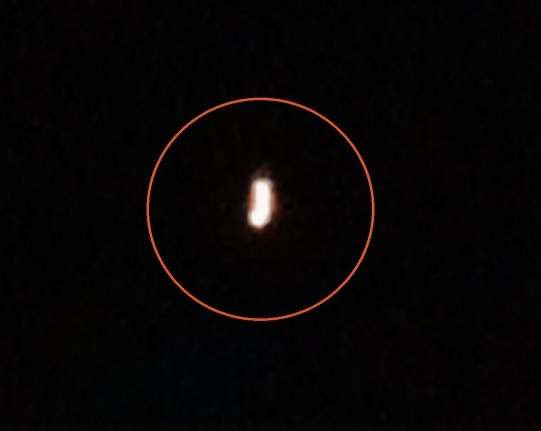 I was looking up at the sky when I saw an orange, redish oval shape object coming toward us from the SW. When it got close it slowed from about 30mph to a hover and then started moving on towards the NE. I immediately told my wife to look up and called for my daughter. 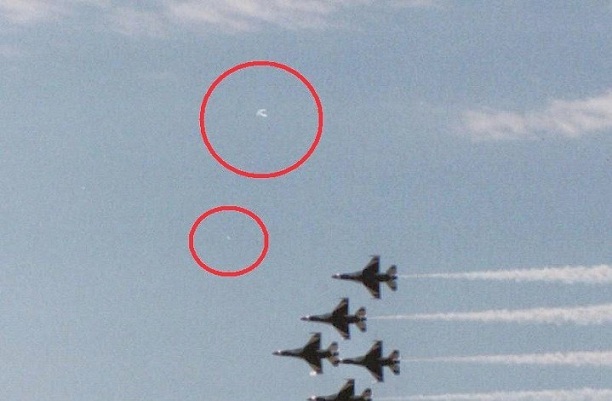 Then three more of the same kind of objects came from the same direction on similar individual flight paths. All objects were totally silent which was very strange to me. More and more came in groups of one to three (total of about 12 objects). At first I though it might be a plane or helicopter but then as it closed in, I could clearly see it was neither and totally silent. Objects seemed to know each others fligh paths but moved independently the whole time. All were the same glowing coloration. I was calm but excited to see this and felt fine the entire encounter. All of the objects moved NE at different times. Some in groups and some independently. They appear to be in a triangle but they were actually moving at slightly different speeds and moved individually. U.S NEW AND WORLD REPORT ON UFO’S. 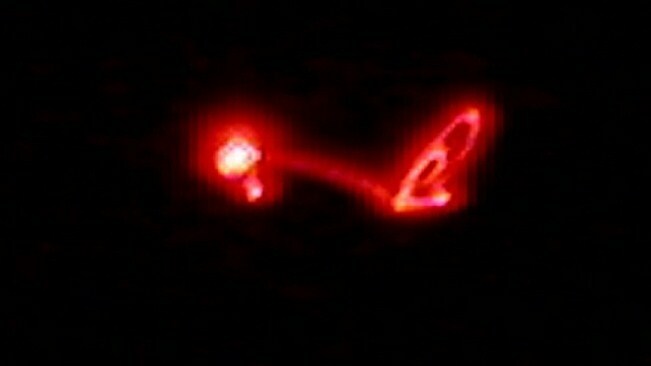 U.S. NEWS AND WORLD REPORT ON UFO’S. 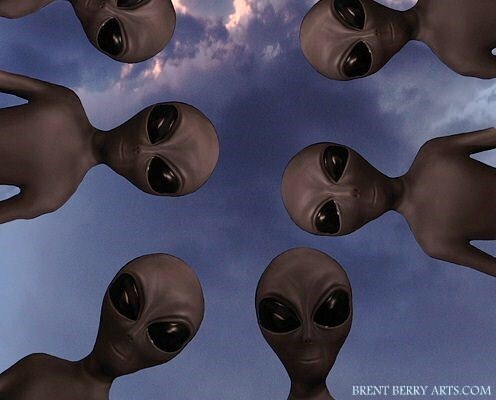 Every year, thousands of UFO sightings from around the world are reported. And, as the magazine points out, about 95 percent of those reports are explained as ordinary things like military aircraft, balloons, misidentified astronomical objects — such as planets or meteors — and meteorological phenomena. That leaves 5 percent of unexplained UFOs — but with so many reported, even 5 percent is pretty large. While the debate rages over whether some of the residual UFOs are interplanetary or interdimensional spacecraft, the magazine is exploring the potential danger of UFO encounters with commercial airline pilots. “Our objectives are to make flying safer for the public, and we’re convinced there’s a potential threat posed by nearby unexplained aerial phenomena to commercial and private airplanes,” said former UFO skeptic and NASA research scientist Richard Haines. Haines is currently the chief scientist of the National Aviation Reporting Center on Anomalous Phenomena, a private venue for pilots, crews and air traffic controllers who want to file UFO reports without fear of ridicule. “One encounter is where the airplane is flying along, minding its own business, usually on autopilot, when the phenomenon or phenomena will come alongside, approach the airplane, pace it, sometimes do maneuvers around it and then fly away,” Haines said. “That’s very important because it implies an intelligence behind the phenomena that is selecting the airplane as a focus of attention or interest,” he added. Haines said he is also concerned about another potential danger to airlines. “What I call cockpit confusion or distraction, where the presence of the phenomenon is seen by the flight crew up front and they’re so taken by it that they aren’t quite as responsible in flying their airplanes.” The Mysteries of Space edition of U.S. News & World Report exploring the danger of UFOs is on newsstands for the next three months. KENS NOTE: Personally I feel the percentages of actual UFO sightings are closed to 30% unknown. This means that we do not have any explanation for 30% of all the UFO sightings. We should look into changing the classification system for UFO’s. IFO refers to Identified Flying Object. Maybe IAC could be used for Identified Alien Craft. Will the Main UFO organizations step up and change the system ? I doubt it. 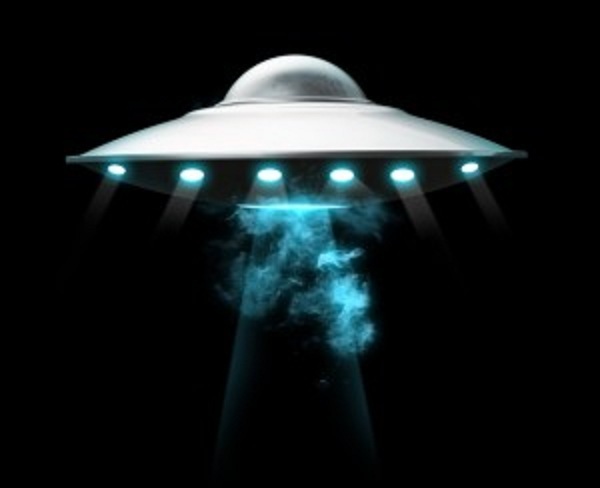 Most UFO organizations are more concerned about debunking a sighting rather than saying it was a IAC. Is the goverment involved ? You can bet your life they are. The above image is a rendering. This is always my least favorite part, excuse the cynicism. I guess I mean that I always find it difficult to describe a scenario so that someone understands how fantastic the event is as my experience. I’m a scientist, and a graduate nurse, and therefore trained to observe and report. However, theres more to a good story than just the facts, so, I’ll do my best to make sense of this experience so somebody will enjoy reading this. Every morning and some afternoons I take my 18 month old son for a walk around my neighbourhood, of which includes Ring Drive (in Groton CT). My son has a thing for air-planes and loves to sky-watch, so I often spend time looking up into the sky with him during our walks. This time, my son pointed at a plane and then I saw an object dangerously close to the plane, it seemed like the plane didn’t see the object, as it didn’t alter course or anything. I believe the object may have been in back of the plane, hence no change in course. At that moment, I whipped out my video camera like “Billy the Kid” and started to video the craft, I didn’t get much taping done and the object was gone, at that point I closed the video camera and sighed with disgust because I could not get a better video. Then, out of the blue, totally unexpected another craft comes from another direction, this time closer and more discernible. 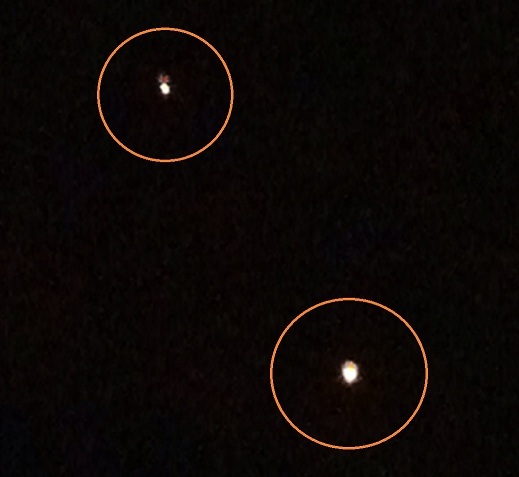 It is totally possible that it could be the same same craft just closer, it was more difficult to make out the size and shape of the first one especially because of the brightness of the sky. 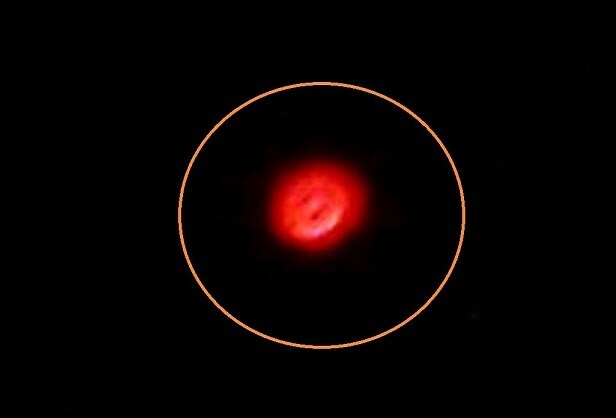 I will say again, the object was circular/spherical and moving around in an unnatural way. It should be noted that this is my second MUFON report. These craft don’t resemble the last two in the very least. This was my second experience & I was not anxious. Lastly, there are objects in the foreground so a distance and size should be easier to figure out. By no means am I discounting my last experience, in fact I stated before that this area (Groton CT) is a HOT spot because of the Sub base, General Dynamics (Electric Boat), the Air National Guard, and lastly the Airport. When I first came to the area a few people had mentioned the weird shapes and lights in the sky and I dismissed them all until I saw a bunch things in the sky that I could not understand myself. It is of my opinion that these UFOs and such are extraterrestrial in nature and have been occurring for quite some time now. And furthermore, it is also my opinion that these craft seemed interested in our military (especially nuclear) technology, commercial aircraft, and our developing tech (General Dynamics). I hope that everyone reading this got a good understanding of what happened to me on May 11th 2012. Thanks for reading my report. NOTE: The above image is a rendering. KEN’S NOTE: I was deployed to New London Connecticut a few years ago. Groton is right across the inlet to the Navy’s submarine pens, Coast Guard Academy and the General Dynamics plant. There is also a nuclear plant a few miles away. This is the perfect spot for UFO activity. About 1:00 a.m. last night (May 17, 2012) I was preparing to go to work. I live in Farmington New Mexico, near the Four Corners. The sky was clear, and very dark because the small crescent moon hadn’t yet risen. My house faces south and I walked out my front door to the driveway and stopped in front of my garage when a movement in the sky caught my eye. Facing southward, I looked up and saw a very large dark triangular-shaped object gliding ominously towards me & over me. The object passed directly over me, heading due north. As soon as it had passed overhead it was out of my view, since my garage and house blocked my view. The object was gliding along very smoothly and rapidly. I felt a creepy feeling, like a chill up my spine. It had a powerful presence, like a predator. 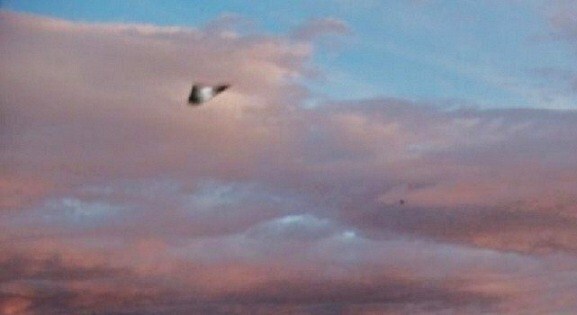 Im over 50 and this is my first UFO sighting. 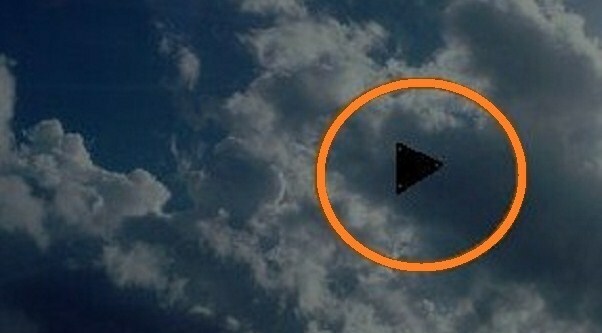 As soon as I saw it, I knew it was a UFO since there was no sound at all. It was eerie. I immediately went back inside and told some of my family members what I had just seen. Then I went back out and looked all around the sky but couldn’t see any sign of it. It was probably several miles away, since it was moving at a steady, smooth pace, probably about a mile every 10 seconds. The size of it was so large, that a basketball held at arms length would just barely have covered it. It could have been a top-secret spy drone or something, but I don’t think our government has something that could fly that silently, with no sign of a propulsion system. It blended in with the stars and the night sky so well, that someone driving in a car probably wouldn’t have noticed it. NOTE: The above image is a rendering. 1:30am. My husband and I were stargazing at a park near our house. We sat on a hillside, overlooking the park, and at the edge of someones yard. The sky was bright and full of stars, but there were some low clouds covering the western sky, which were getting closer to us. I was looking almost straight up. The edge of the clouds were right above us. 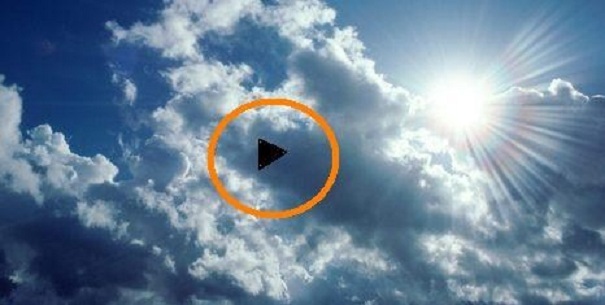 Suddenly below the clouds a boomerang shaped craft “appeared”. It was getting closer to us, coming at us, and getting bigger. It seemed like it dropped out of the cloud. It descended towards us for a couple seconds, then it stopped. It started moving south east in a slightly curved line and then it suddenly stopped made a 90 degree rotation (the whole craft turned like a steering wheel- staying flat)and then turned back (the turn seemed to give it propulsion to take off at an incredible rate of speed.) There is only 1 tall building in town. It disappeared behind the building, but got noticable smaller (further away) as it did so. As I was watching, I tried to get my husbands attention, but I was in awe and by the end he was saying “what?” but it was already over.. The whole thing lasted maybe 10 seconds but that was long enough to get a good look. I thought it was a smaller craft at first, but I calculated the distance of the cloud cover and realized if it was truely that far away (about 1000ft feet) then it must have been huge, for me to see the details I saw. It blended in to the night sky. The texture reminded me of what you would see on a movie space ship. Metal came to mind. I think the inner side, but it may have been the outer side, as it was 6 years ago and what looked like a trap-door in the middle. The “lights” were not turned on. Like I said, the whole thing seemed to blend in with the sky. I tried to discount it as a plane, but planes don’t move that fast or turn the way it turned. Afterwords, I said to my husband “did you see that?”. He said “see what?” so at first I thought maybe I was hallucinating. I explained to him as we walked home. I was now losing the awe and calm and excitement of the initial sighting and I began to get scared. It came down right on top of us, so I entertained thoughts that it wanted to abduct me. I was so terrified after that, I slept with the lights on for 4 days. Only about 10 people knew about this, until now. I decided to tell before the memories get too hazy. NOTE: The above image is a rendering. One night in the early morning hours in 1991, I was woken up by a bright blinding light shining through the window of our bedroom window. I also heard a loud humming sound. It startled me. I had woke up and looked up at the window. My husband didn’t budge at all. I looked back to the room and saw four short grayish figures with big dark eyes standing by our bed. One was standing by me, looking at me. I could see that they were all about 3-4 feet tall. 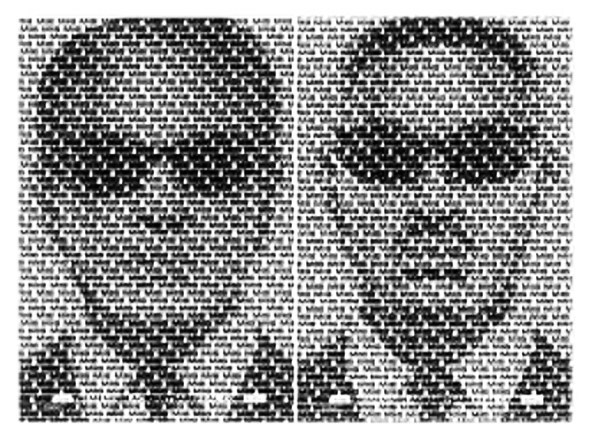 Light grey, big head, small mouth/nose, skinny neck, body was not proportioned with their head size, body was smaller in size, big dark oval eyes, long skinny arms, long skinny fingers. They made a weird voice type noise, like a soft robotic sound. I could see two more at the foot of bed and one to the side of my husband. I saw the one by my husband, touching my husbands shoulder. I was frightened and was watching them . I didn’t know what to do . I could not move or scream, like I was paralyzed or something. It felt like my arms, my head and legs were being held down. All I could do was move my eyes to see what they were doing. I tried to holler at my husband but I could not say anything at all. The one that was looking at me was moving its head side to side looking at me like he was observing me or something. I seen its hand come up toward me. Right after that I don’t remember anything else that happened. Time had lapsed into daytime, hours later. I started remembering what had happened that next night. Bits and pieces but the next day and following a few days later. Me and my husband noticed that we had gooey jelly type ooze that kept coming out of both of our belly buttons. When we showered we both had said something about the goo to each other. I told him that I had the same stuff coming from mine to. We did not know what it was. We felt tired the next day and the days followng that. I didn’t put two to two together until days later after what had happened. It is like I remember what happened the time of seeing them and everything else was blocked. After days going by I kept getting sick off and on, feeling drained. At one time I had to be taken to hospital but they did not know what was wrong with me. I had headaches, dizziness and nauseousness. It was like I couldn’t breathe or something. To this day we don’t know what happened to us both. We have since moved from the area. It happened again a year later. I am still puzzled about it all but I know what I saw and it was not a dream either. I am a light sleeper and it was no dream. I was woken up by the bright lights and then seeing those things were terrifying. It was the most frightening thing that happened to me. I was awake and then I saw them. Then all else was blocked from me. They were there and then gone in a flash. Thats all I know. I still want to know what happened to us and what the ooze was in our belly button area. We still would like to know what took place with us that night. I still think about it today. I could sketch it but I will not at this time. NOTE: The above image is a rendering. I had driven up from college (Oxford College of Emory, Emory Univ) to my home in Flowery Branch, GA. There was a story on the news that thousands of people on the East Coast were reporting UFO sightings, but what they were seeing was the vapor trail left by a NASA rocket launch from Cape Canaveral. The vapor trail was just hanging there in the air, and I was curious and went outside to see it. Sure enough, it was plainly visible. The topography. I was looking at it right from my front yard, across old Farmer Jone’s cow pasture. On the other side of that pasture was a small hill, another smaller pasture, then his house and a finger of Lake Lanier. The distance from my house to the finger of the lake was three, maybe four hundred yards. Not that much of a walk for a teenager looking to take some worms and a fishing rig over to the bank looking to catch a mess of panfish for supper. It’s also imprtant to note that in those days, Flowery Branch was not the outlying fringe of Atlanta suburbia that it is now, Atlanta being about sixty miles away, the outer loop of I-485 about 45 miles away. Flowery Branch then was a small redneck little town of a thousand or so, for the most part blue collar workers and small farmers and chicken farmers who went to bed notoriously early. It was a very, very quiet place at night. Sound traveled very well at night, and you could hear dogs barking from far away. So to what I saw, as I was looking at the vapor trail, something else came into view, very very low. It stopped right over the finger of the lake across from me. It was big, very big, at least the length of a large passenger jet. It was saucer shaped top and bottom, but in the middle there was looked like a row of windows that from what I could see would have gone completely around it. I say windows because that is exactly what they looked like, like windows with a small panel between each one. They “flashed” as if in the middle of the craft there was something like a lighthouse’s light sweeping around in a circle illuminating each in turn. It was that kind of effect. That was strange enough, just the sight of it, but this craft made absolutely no sound at all. It was completely silent. It just hung there in the air, no sound, not moving, the air was still, and if any of my friend’s cars had been over there with their loud mufflers I could have heard them. But not this thing. It made no sound at all. Here’s the thing…I was a good Boy Scout in my day, and very good at map reading and with a compass. Before I called my report in, I went and got my military issue lensatic compass. I took a reading on the vapor trial, visible in the moonlight, and a reading on the UFO…they were a full fifteen degrees apart. There was absolutely no way I could confuse them – there was that much distance separating them. So I called the county sherrif’s office, but he told me I was seeing the vapor trail and hung up on me. One other thing I should mention…standing there seeing I felt no fear at all. It was far enough away that I felt no threat from it. But after I made my call, I walked back outside to watch and see what it would do. My neighbor next door had an outside dog pen where he kept his German Shepherds. No one went near that dog pens – those dogs acted vicious. When I would mow the grass they would stand and bark at the fence and jump for the top of it as if they wanted to get out and rip you to shreds. Those dogs had been completely quiet while that thing hung over that finger of the lake. Then, suddenly, they started barking like crazy, going wild…I stuck my head around the corner of the house to see who or what was so stupid to get so close as to set them off. They weren’t barking at anyone – they were acting terrified, and trying to literally climb their fence in the opposite direction from the UFO. I walked back around to where I could see it, and it was starting to move slowly to my left, and again, it made no sound. It just glided off. Now this is funny…LuAnn’s brother, my cousin Robin, was at home alone. About five minutes after the UFO had left my field of vision, my phone rang. It was Robin. He said “Butch, (my unfortunate nickname, no longer used or admitted to) there’s a UFO over Uncle Wesley’s chicken barns (his great-Uncle Wesley was my grandfather, the chicken barns being about a hundred feet from his propery line), what do you think I shoud do?” I told him to do nothing. Then he said “I was thinking of getting the .22 and shooting at it. What do you think?” I told him, “Robin, that thing is a UFO. It didn’t come from here. If they have the technology to come as far as they have, then you just might piss them off and they might zap you…best to leave them alone…” So he went to hide in a closet. I take my stand with Muldur – the truth is out there. I’ve seen it. Someone is holding back the truth about something. That’s my story. That’s why I accept the existence of UFOs. LuAnn told me I should share the story with you, so now I have. NOTE: The above image is a rendering. A1C Lori Rehfeldt and A1C Keith Duffield witnessed a UFO at 0300 hours, an aircraft the size of a C130 approaches RAF Woodbridge Runway from the North Sea, stops outside the base and hovers then makes geometric movements UP, DOWN, LEFT and RIGHT and then breaks into 3 pieces and flies across the runway and into the night sky within seconds. The aircraft and aircrafts did not make any mechanical noise. Since it flew over the base while working for the 81st Security Police Squadron D Flight it was our duty to report it to the desk sergeant. 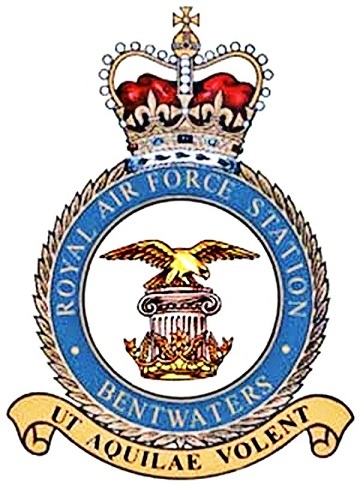 It was officially reported and documented on the RAF Bentwaters Desk Blotter. KENS NOTE: In December 1980, the 3 nights after Christmas (26-28 Dec 1980), a series of UFO incidents occurred in the Rendlesham forest area, which lies between the twin RAF/USAF Bentwaters and Woodbridge bases in Suffolk England, which at the time reputedly held the largest stockpile of tactical nuclear weapons in Europe. UFO sightings at two of UK’s most sensitive military sites. My wife and I was returning home from Bangor and was crossing the Allamoosic bridge on rt 46, Bucksport when off to the right of us,we saw about a mile away, this large slice of pie shaped object coming at us hugging the treetops. I slowed down as we watched it approach, cross and disappear over the treetops, to our left. It was very close, it had a white light that switched to orange on its underbelly. The light wasn’t a single dot or beam but was more like a luminous panel. It was grey/charcoal in color. It was not aerodynamic by any means. It did not make a sound, it did not seem to bother the trees it was “floating” over, I say floating for it was moving very very slow…maybe 15-20 mph. I could only see a side and its underbelly and then as it passed by, the back and underbelly. The side and back had an “industrial” appearance to them. The bottom or underbelly was smooth and covered those illuminated “panels”. 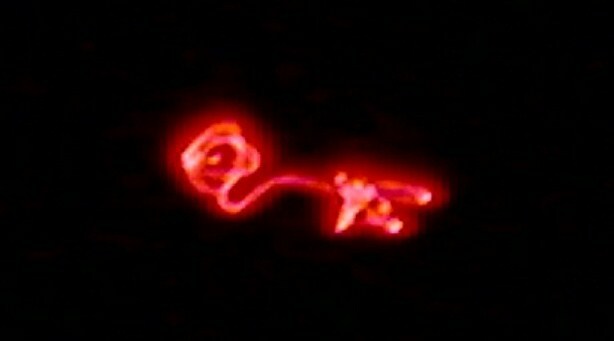 This “craft” was observed by two people in full daylight on a very clear day. It was very close. KENS NOTE: The witness said the craft had kelp on it and it looked dirty, like it was in the water. He also said he did see two occupants in the craft. The above image is a rendering. Special thanks to the witness Tim E from Maine.